Wonder Woman. Superman. Batman. Iconic superheroes of DC Comics. 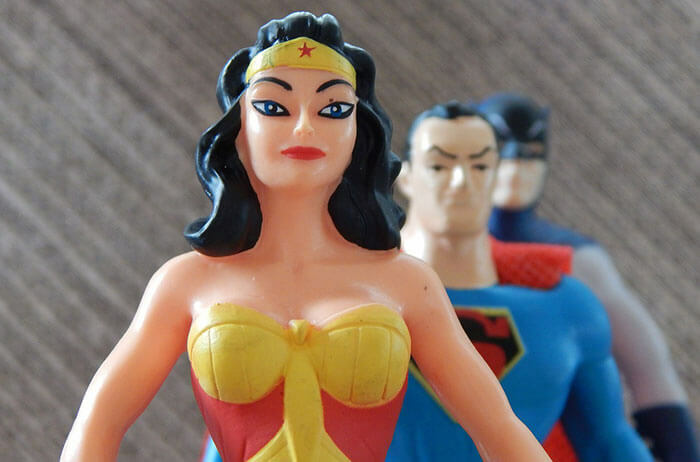 If you own any action figures, chances are they are based on DC Comics characters. If you’re lucky enough to have a local collectibles store close by, you should present your items to them and solicit an offer. It’s best to solicit offers from multiple places if you have that opportunity. If you’re looking for quick cash and a decent offer, collectible stores would be your first choice. Unfortunately, large collectible stores aren’t as common as pawn shops, so your only option for fast cash from a local storefront may be a pawn shop. The problem with pawn shops is that they don’t specialize in collectible toys necessarily, so you may not get the best offer. If you’re ok with that and simply want a fast and easy transaction, a pawn shop could be a decent option. Selling online is the best option if you have a lot of free time on your hands and don’t want to make the sale immediately. Selling online such as on eBay or Craigslist takes a lot of time, patience and a little bit of luck. If your items sell — which is never guaranteed even after all the time invested into the listing — you should yield a higher selling price than if you sold to a collectibles store or a pawn shop. That’s the trade-off you make for investing more time into the sale. Want to sell your DC action figures for all-cash at top-dollar? Then you need to sell to Neatstuff Collectibles. We combine the high offers from online sales with the speed and convenience of a local storefront. If we like what you have we may even travel to you to close the sale! Interested in selling your DC action figures to us? Give us a call at 800-326-7064 or fill out this form and we will be able to guide you through the process!